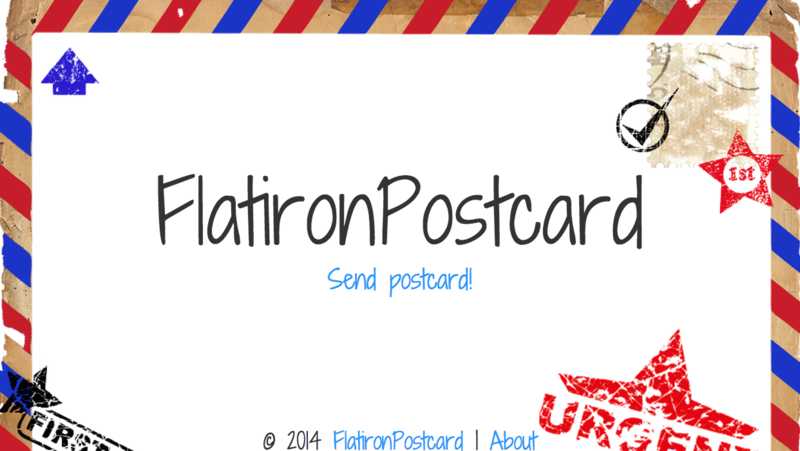 FlatironPostcard allows you to send custom digital postcards. Utilized Amazon S3, Paperclip and Imagemagick to upload, validate, store and render user photos. Used Mandrill API to send custom HTML email templates. Built with Ruby on Rails. 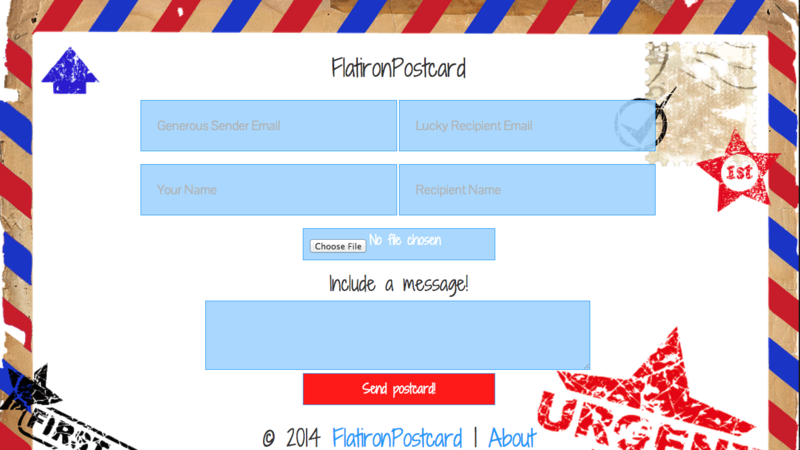 Developed independent mobile interface to allow users to send postcards from mobile devices. Fully responsive.